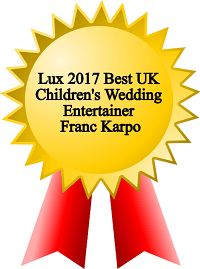 If You Are Having Kids at Your Reception, a Children’s Wedding Magician Can Save the Day! If children will attend the reception but the entertainment is solely for adults, the kids’ boredom can result in uncontrolled mayhem! One of the most important days of your life for you and your spouse is coming up and you absolutely want to make your wedding celebration memorable. You have soooo many things about your wedding that you need to plan, organise and implement... time matters. ​The last thing you need to stress over is what to do with the children. This is where having a wedding magician to entertain both the kids and adults can be the difference between an amazing wedding celebration, or one with ‘out of control’ kids running around the room. they ﻿hire someone to entertain for only the ﻿adults﻿. Note: If you only plan to have adults attending your celebration, check out my corporate adult wedding magician page. Another equally BIG mistake is booking a child’s entertainer to only entertain the children. It doesn’t matter how good they are because soon the adults will get bored, start talking in the back of the room, and this will be a huge distraction for the kids. This is something you do NOT want at your wedding reception. You Need Someone Who Is Equally Great With BOTH Kids And Adults! Franc was hired to entertain the children and adults at my wedding! It was better than expected and all thoroughly enjoyed! Franc was friendly and professional! He was great with the kids and adults and the bunny was a fab way to finish! Highly recommend!!! Let’s Work Together To Achieve The Same Amazing Results… Or Even Better! As an entertainment for weddings expert, my magic entertainment will be the perfect addition to your upcoming celebration. A highly skilled entertainer with a vast repertoire, I am equally adept at ‘Wowing’ All Children, All Adults, or Mixed-Age Family Audiences. 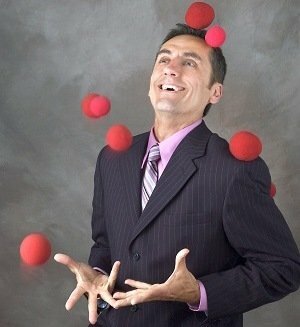 The Combo Magic Act which offers something for everyone! Your Wedding An Unforgettable Smashing Success! Thank you so much for your entertainment, the kids haven’t stopped talking about it and the parents thought it was brilliant! Everyone commented on how well organised it was and how relaxed and natural you were with the children, keeping them all so entertained and engaged from the moment you came in! 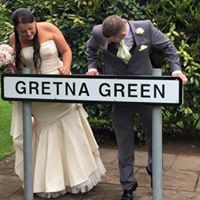 Do you want to guarantee that your wedding reception will be an amazing exciting celebration that your family and friends will talk about for months to come?